People often seem impressed when they find out I make yogurt at home. While I like to think I’m impressive, it’s certainly not because I make yogurt. Making yogurt is easier than baking muffins from a box. Plus, you can save a lot of money: a gallon of homemade yogurt costs the same as a gallon of milk. Where I live, that’s a 75% savings from buying ready-made plain yogurt in quarts. 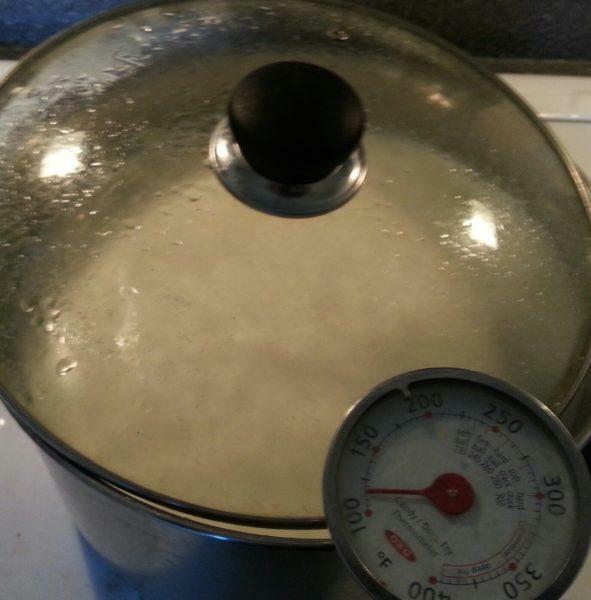 Making yogurt involves heating milk until it’s almost boiling (180°F), then cooling it to 110-115°F. 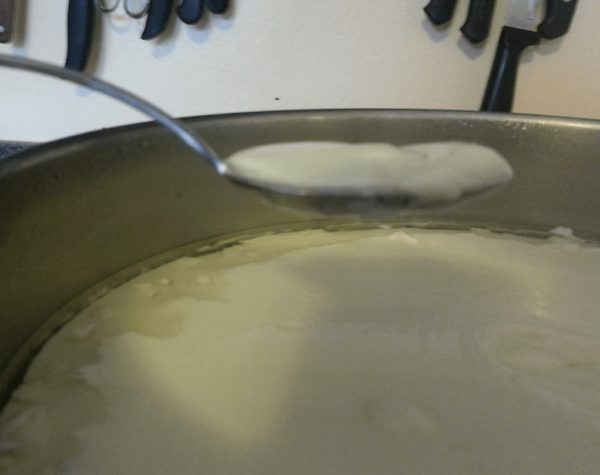 You add beneficial bacteria (yogurt culture) and keep the milk at a constant temperature for a few hours while the bacteria work to transform the milk into yogurt. I started making yogurt about 20 years ago. Back then, I heated the milk in a big pot on the stove. 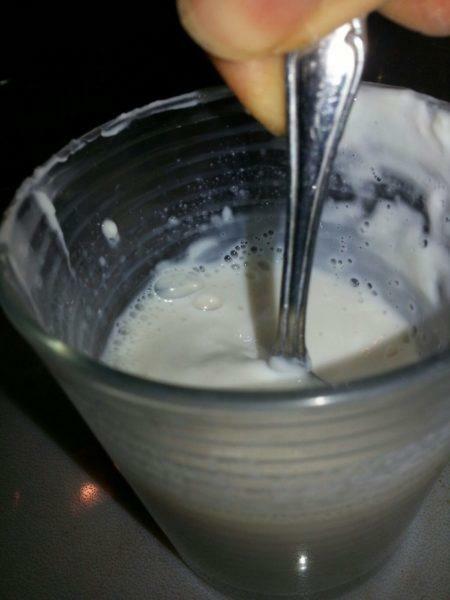 That method involves stirring constantly so that the milk on the bottom doesn’t burn. It inevitably burns. 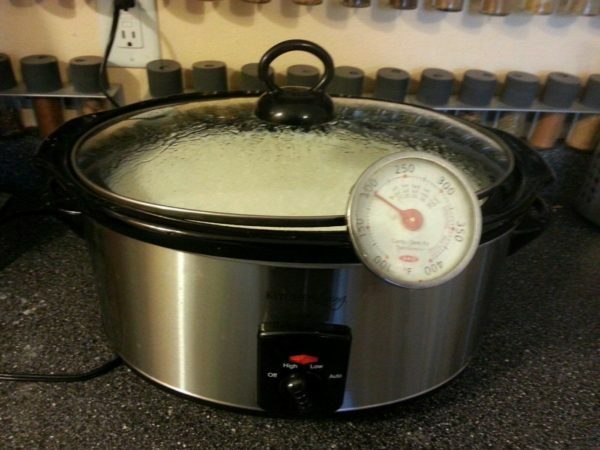 There’s a much easier way that requires no stirring: Use your slow cooker. Here are the steps. Times of day are merely suggestions based on my own routine. In the morning soon after waking up, fill your slow cooker with milk up to about ¾ inch beneath the rim. 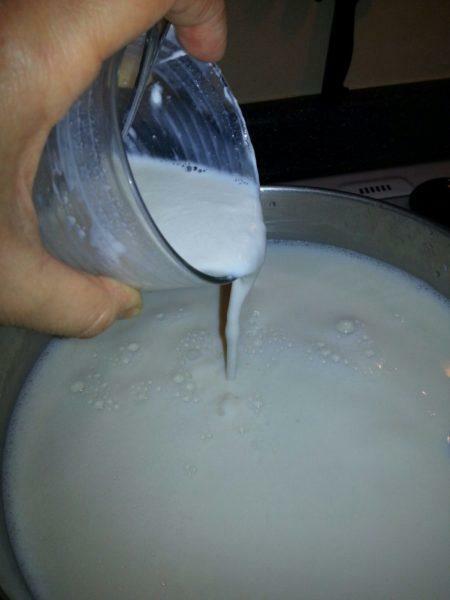 I usually use skim cow’s milk, but you can use any type of milk or soymilk. Let the milk cool to 115°F. This can take a couple hours in a large lidded crockpot (until midafternoon for me). To speed up the process, you have two options: (1) Leave the lid ajar (not usually an option in my house since I have a cat) or (2) transfer the milk to a clean pot that holds the same volume of liquid is your crockpot. 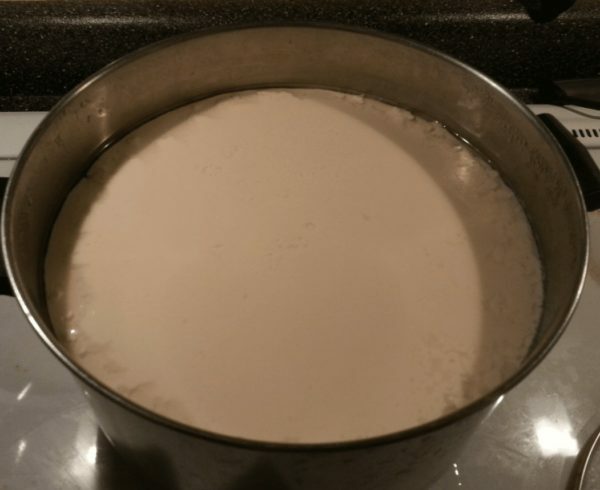 The thinner walls of the regular pot will allow the milk to cool faster. It’s important that the pot is not a lot bigger than your crockpot, since having too much air space at the top of your pot will make your incubation process (Step 11) go less smoothly. 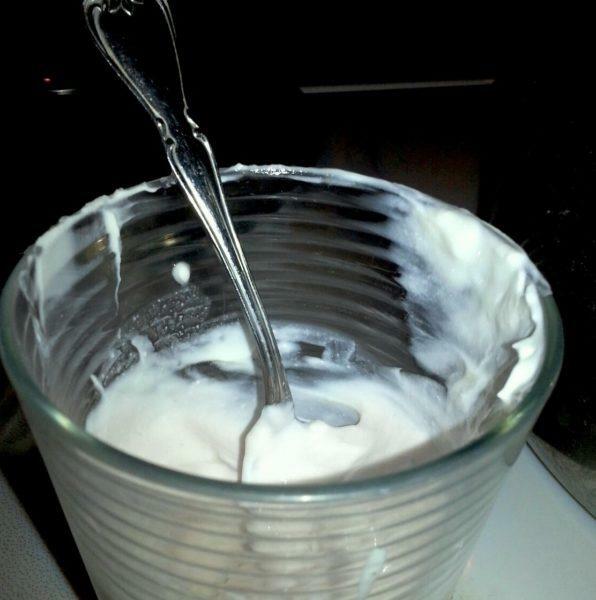 Put some plain yogurt in a clean glass – about 1 teaspoon of plain yogurt per quart of milk. At a few spoonfuls of milk from your crockpot/pot and stir until smooth. Add even more milk from your crockpot and keep stirring until smooth. 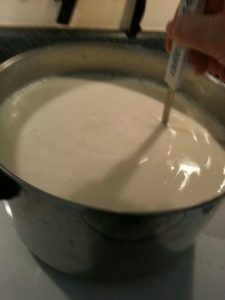 Pour the milk–yogurt mixture into the pot. 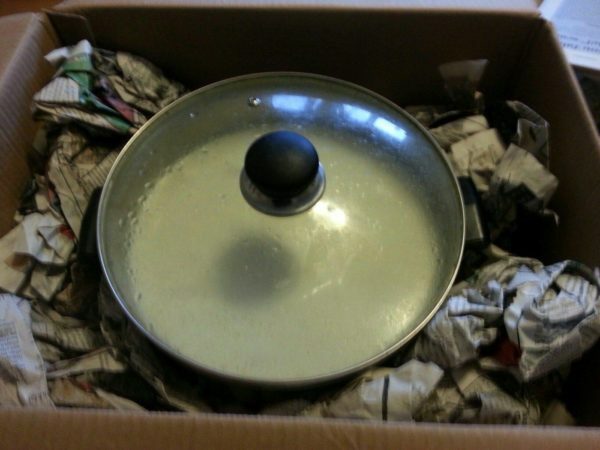 Stir for 10 to 15 seconds, then put the lid on the pot. 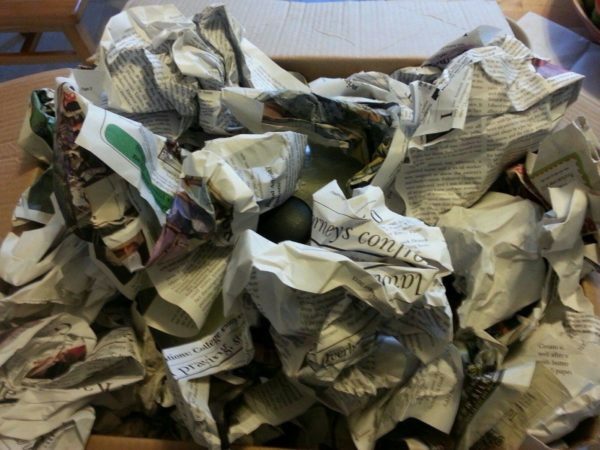 Nest in the pot in a box full of crumpled newspapers. 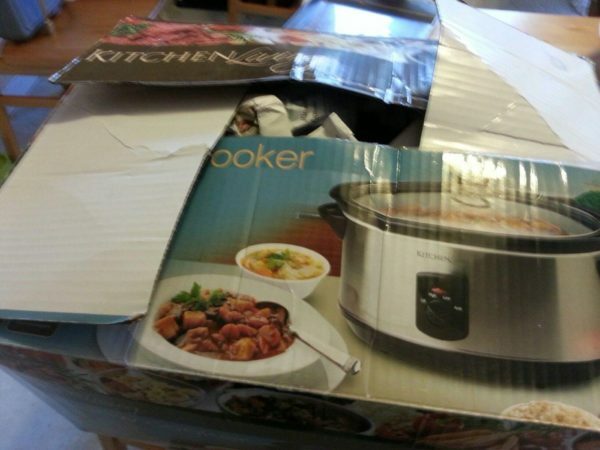 (If you are using the crockpot, take it out of its electrical housing before putting it in the box.) 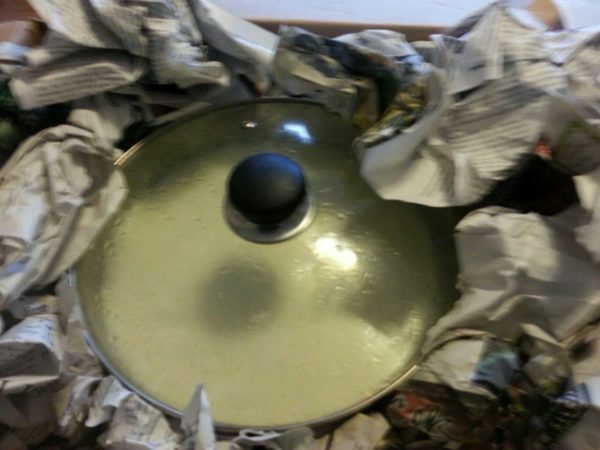 The crumpled newspapers serve as insulation to keep the temperature of the milk steady, so make sure you have at least one layer of crumpled newspapers on the bottom of the box and surrounding the pot on all sides. Open the box and look at the yogurt. It should be firm, with a little whey (watery liquid) floating on the top. Store it in the refrigerator and eat to your heart’s content.